I can’t remember if I’ve seen some previous version of Metropolis or not. I’m sure I’ve seen many of the scenes but I hadn’t seen all of them. I cannot speak for previous versions of the film, but this one was enjoyable and I’m glad I watched it. Somewhat like the film Agora mentioned previously that showed the gulf between science and religion, this film details a fictional conflict between a technocratic ruling class and a subjugated working class. There is some religious imagery throughout and the epic battle between Freder and Rotwang even takes place on the rooftops of a cathedral. Interestingly, the three elements of the epigram above correspond to three of the elements of Carl Jung’s Psychological Types: Head with Cognition, Heart with Emotion, Hands with Sensation. 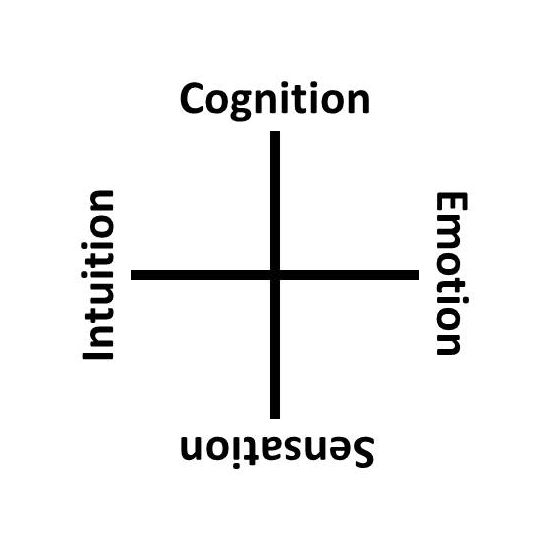 What about the missing aspect, Intuition? 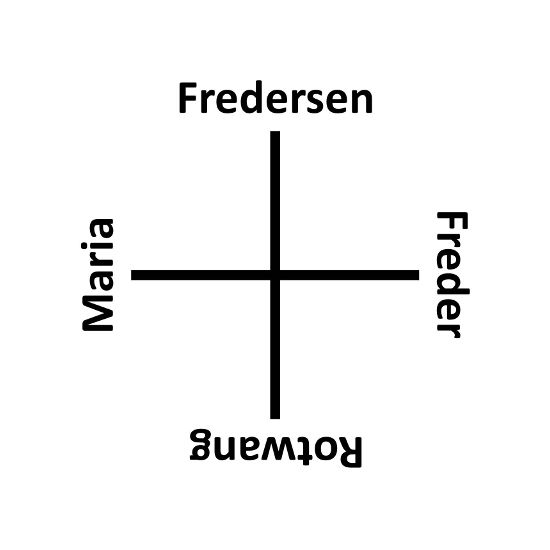 I’ve placed Maria at that point because her meeting with Freder really initiates the plot of the film. Actually I should have placed Grot, a worker foreman, at the Hands position instead of Rotwang. However, I think Rotwang is a more interesting character. Comparing these characters to those in The Tempest and Forbidden Planet, Rotwang is more like Prospero’s Caliban, or Morbius’s Id monster. As evidence of his evil nature, Rotwang creates a robotic version of Maria and uses her to incite the workers to confusion and violence. Note that the spirit Ariel and Robby the Robot are also placed at Jung’s Intuition position. Several of the images from the banner on this blog are from the movie, and are of the central tower and office of Fredersen. It is called “The New Tower of Babel” since it was inspired by Bruegel’s painting of the Tower of Babel. For the “4 H Club”, the four H’s are Health, Head, Hands, and Heart. Probably deserves its own post! This entry was posted on April 20, 2014 at 3:59 PM and is filed under fourfolds, technology. You can follow any responses to this entry through the RSS 2.0 feed. You can leave a response, or trackback from your own site. Also: a c & t’s mouth and c ⅋ t’s eye; a d ⊕ g’s nose and d ⊗ g’s eye. Your comment on my about page inspired me to work on Metropolis, which I initially thought of two years ago but wasn’t happy enough to post until now. Like an artist’s sketchbook, I try to collect notes until something gels or I just want to get it out. I think I can always return to it and polish it up at a later time. After all, this blog is a work in progress! Thanks for all your thoughtful and complementary comments here and on my about page! What would I call such a four-fold? Why, a mandala, of course!